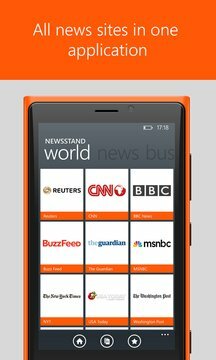 Newsstand - for reading news websites. 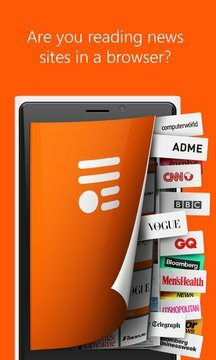 All news websites in one application. ◉ Quick access to news websites. ◉ A built-in list of popular sites. ◉ Add any news sites. You decide which sites to read and see the news as its edited. ◉ Add online magazines, newspapers, blogs and other sites to the Newsstand. To add a site, just enter its address once in the additions form. Quickly create a list of used sites in the “My Showcase” section. Turn off website images and animation to more quickly read news online. ◉ Create bookmarks for interesting pages. Share news with friends and colleagues on social websites. For your convenience, popular sites are already chosen by category. The latest Business News: financial and economic news, breaking personal finance, company, and more. Sports news coverage, scores, commentary for NFL, MLB, NBA, College Football, NCAA Basketball and more. Technology News: СNET, Gizmodo, Techcrunch, ZdNet, Wired, and more. Lifestyle News: lifehacker.com, Reddit, VOX, Littlethings, and more. Celebrity news: Tmz, Yahoo Celebrity, Hollywoodlife, People, and more.